IFTTT integration into Control4 allows Control4 to control any of the products or services integrated into IFTTT and have those products also control Control4. This expands the integration of Control4 to support numerous functions that it natively does not do. We have listed a few examples of what integration can bring to Control4 below and have also stepped through programming some of the ones we feel are useful to a lot of people. Note that this is a small list of things we liked. There are a lot of other things you can do currently (with lots more coming in future to IFTTT) so we suggest you check out the channels on the IFTTT website. These are some examples of what you can achieve with IFTTT integration to Control4 via the Chowmain IFTTT maker driver. Control4 can call your phone number and say a message (for security alarms, smoke alarms and other emergencies). 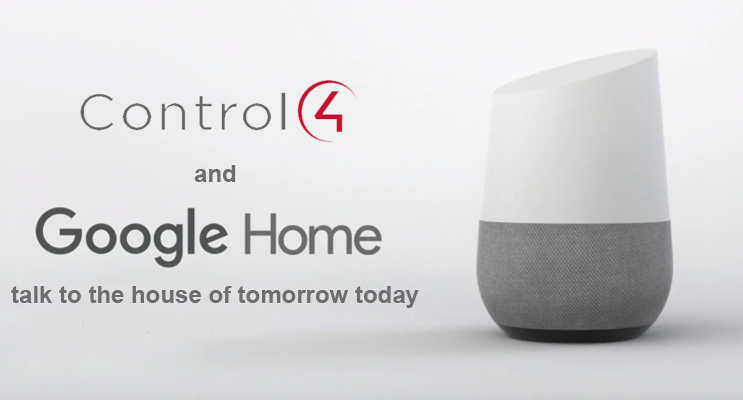 Control4 can save data about the events in your home in google docs or dropbox. Control4 can save data about the events in your home to IFTTT’s daily or weekly email digest. Control4 can send Google Glass notifications (with Message, Image URL and URL fields). Control4 can send notifications to your Android wear device (requires IF app installed). Control4 can find lost items (needs tags) or phones (call your phone). Control4 can turn on or off your GE Smart Appliance and more. Control4 can tell your Android phone to turn on/off Bluetooth or wifi (might be useful when you’re leaving or coming back home). When batteries are low on your Control4 sensors add a reminder to your IOS reminders app. Amazon Alexa (Amazon Echo, Tap, etc) can send commands to Control4 via voice recognition to do things like turn lights on, play music, house off and more. Control4 can detect if a specific person has entered or left a room/zone using beacons. iOS Location and Android Location (via the IF app) can tell Control4 when you are approaching or leaving home. Your BMW (Connected Drive Compatible) can tell Control4 when it is entering or exiting an area. Your EVE enabled Tesla car can tell Control4 when it has arrived home, is leaving home or on the way home. Your Roost Smart Battery can tell Control4 (via the announcement agent) when its battery is low (Great for smoke alarms). Control Control4 via SMS or phone call to IFTTT. If the temperature (via weather forecast/conditions) changes in your area tell Control4 to do something. Your Android phone can tell Control4 when it has connected or disconnected to/from a specific Wifi network. Any other cool things about this driver? This driver actually replaces alof of functionality that is native to Control4 but requires a subscription and also implements products and services that alot of other 3rd party paid drivers integrate. As such in certain cases its actually cheaper to utilise this one driver for integration over multiple services/products. How do i integrate White Good Appliances? We have update our experience button suite to add various appliance icons. These icons can be used for ON/OFF control and feedback of white good devices. Use the suite in conjunction with the IFTTT driver for integration of white good appliances integrated to IFTTT. See PDF for details. How do i integrate Google Home? 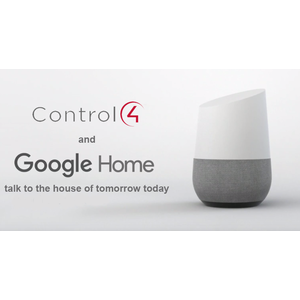 We have updated the driver to support Google Home's number variable system and have written a document that goes through some examples on how to program Control4 to work with Google Home. Control4 will send IFTTT triggers to IFTTT based on programming done by the Control4 dealer. IFTTT will send commands back to Control4 via a 3rd party service called pushover. When Control4 receives these commands the dealer needs to program Control4 actions to correspond to the command sent. Please read the installation PDF for specific details. OS 2.6 offers a superior security encryption algorithm and a new and improved driver format. We have decided to only utilise this new format to ensure that the integrity of this driver is not compremised and that we can provide the best dealer/user experience available. * Updated to fix variables not appearing in latest Control4 OS version. * Removed remaining messages property (this doesn't effect the driver as it doesn't use a pushover application). * Added new property (TITLE - Output in lower case). If this is set to true then it will convert the title to lower case. This will make programming easier. * Added new property (MESSAGE - Output in lower case). If this is set to true then it will convert the message to lower case. This will make programming easier. * Added new property (TITLE - Words to truncate). This is a comma seperated list of words/phrases to truncate eg the,lights,thermostat. This will make programming easier. * Added new property (MESSAGE - Words to truncate). This is a comma seperated list of words/phrases to truncate eg the,lights,thermostat. This will make programming easier. * Added duplicate variables for title and message in number variable format. Will only change if the values are interger only. This allows us to integrate Google Home.